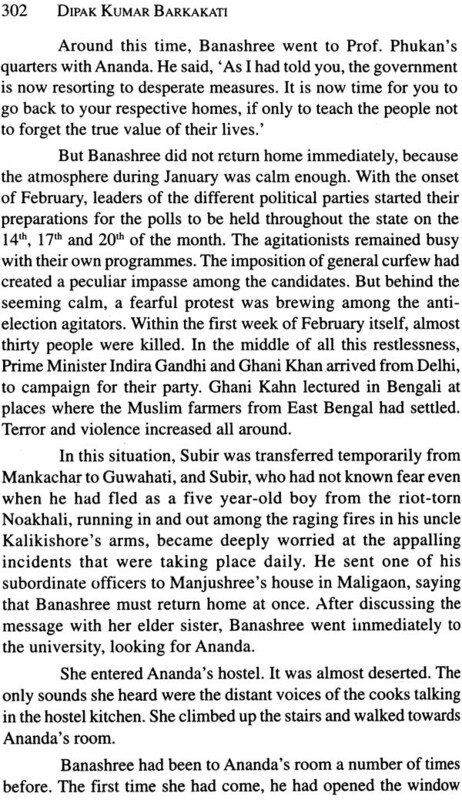 From Valley to Valley (Upatyakar Para Upatyakalai) has a wide canvas and covers a long period extending from the Noakhali massacre to the Nellie massacre of Assam. 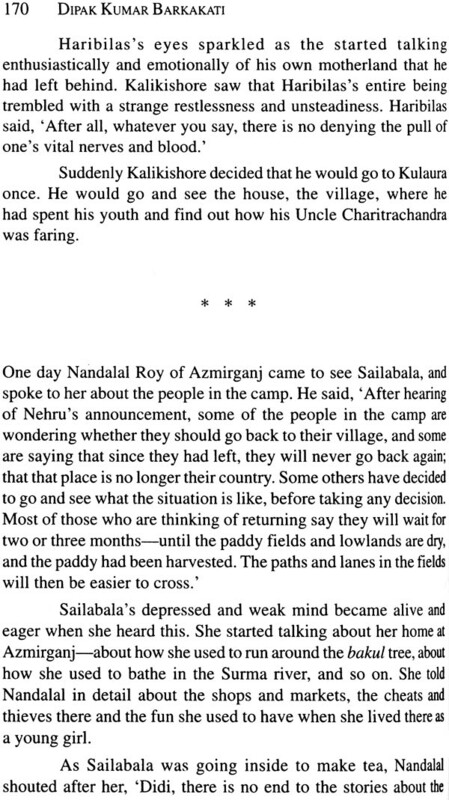 The novel offers an excellent account of zamindari system as it existed in pre-independence Bengal, the Swadeshi movement, communal clashes, Independence, migration of people due to partition and immigration of refugees after the Bangladesh War to the virgin fertile valleys of Assam. 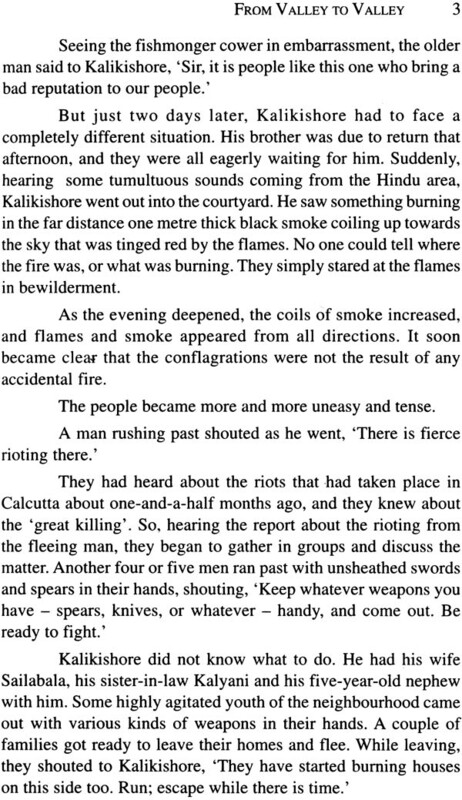 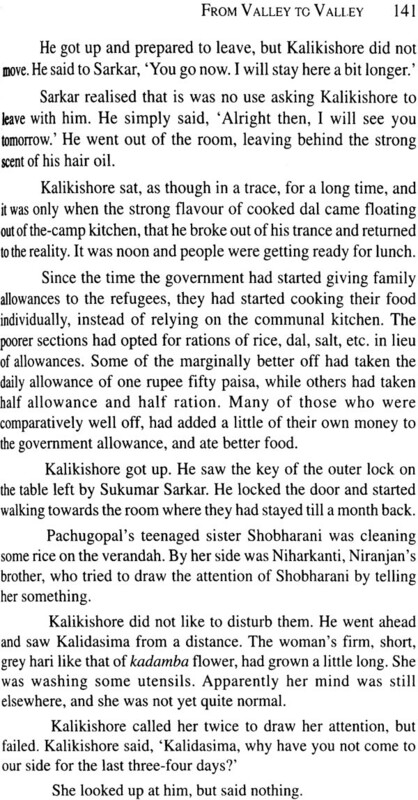 The Assam Movement of the eighties of the last century and the culmination of the consequences of such settlements are also beautifully portrayed in the novel. 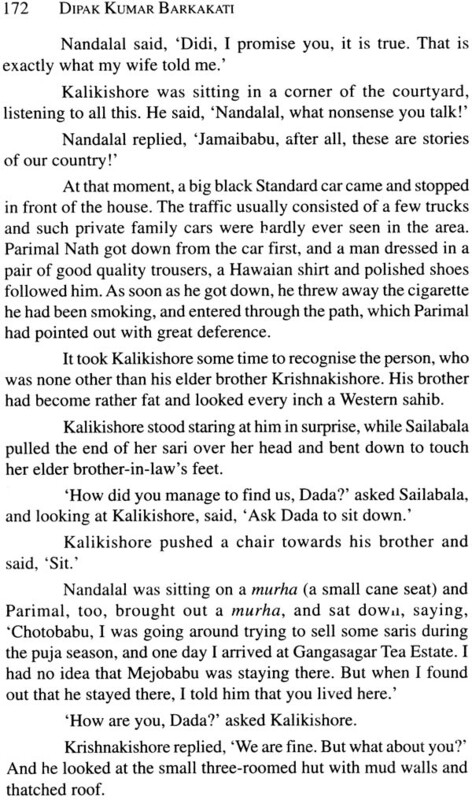 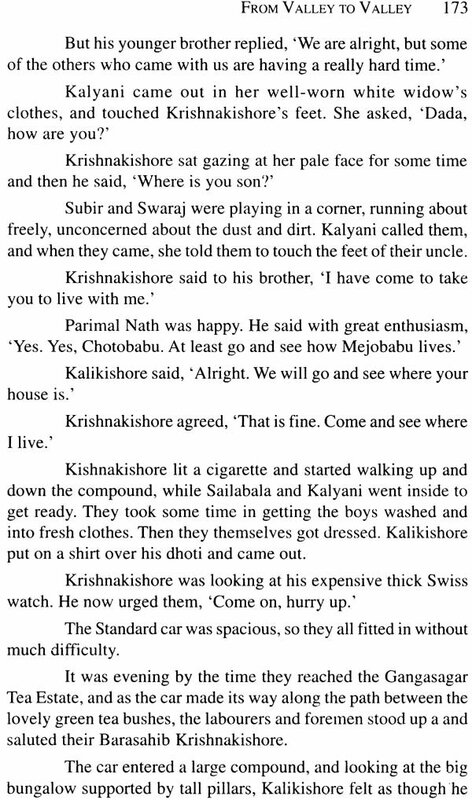 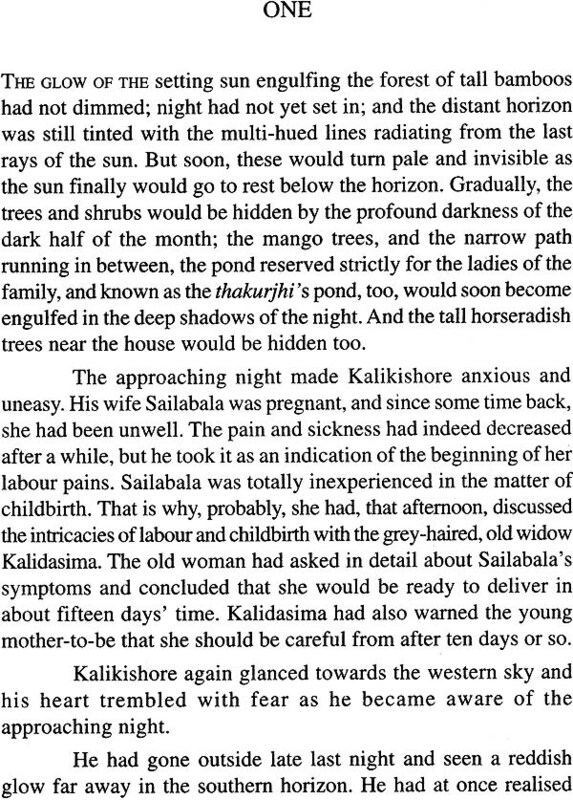 The plight of the refugees and the human factors associated in the complexities of rehabilitation are depicted in the novel through Kalikishore, the protagonist, who moved from one valley to another along with many others in search of settlement and peace. 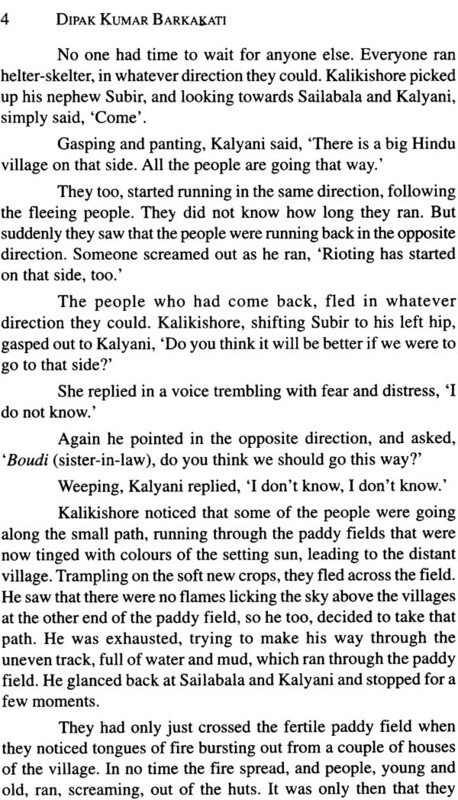 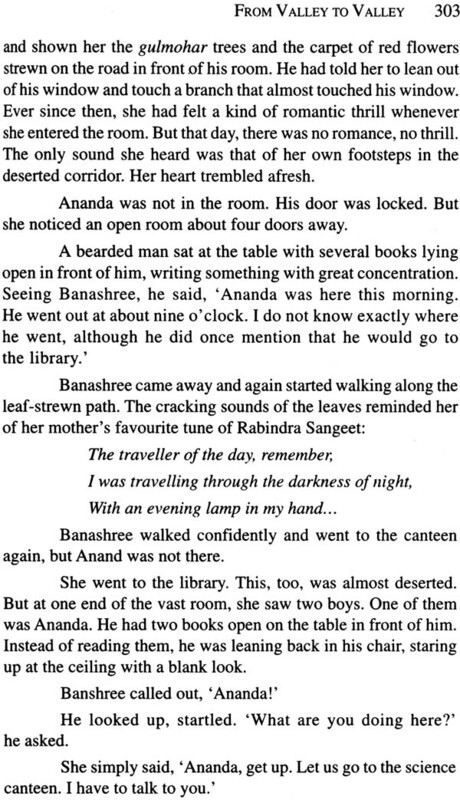 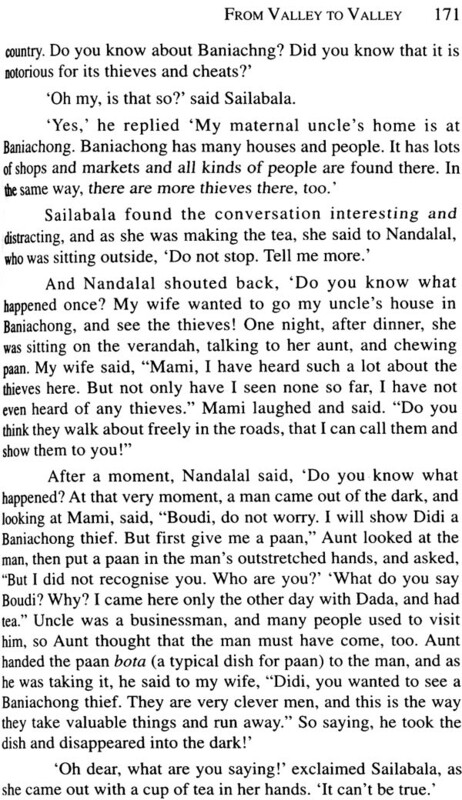 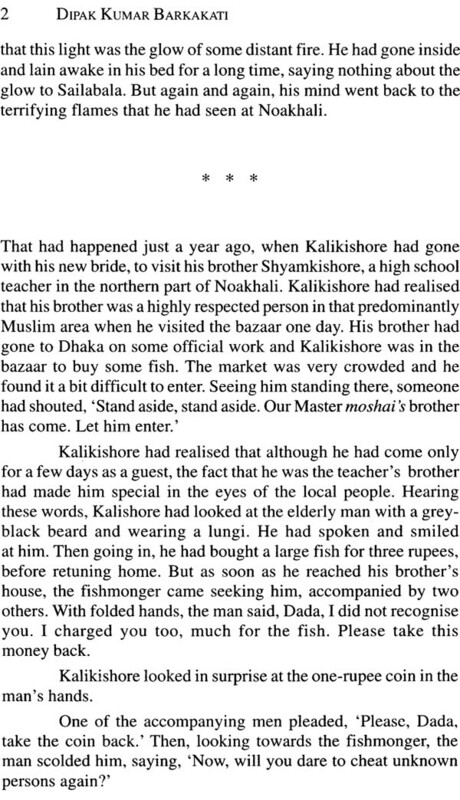 The novel was published in 2002 in Assamese. 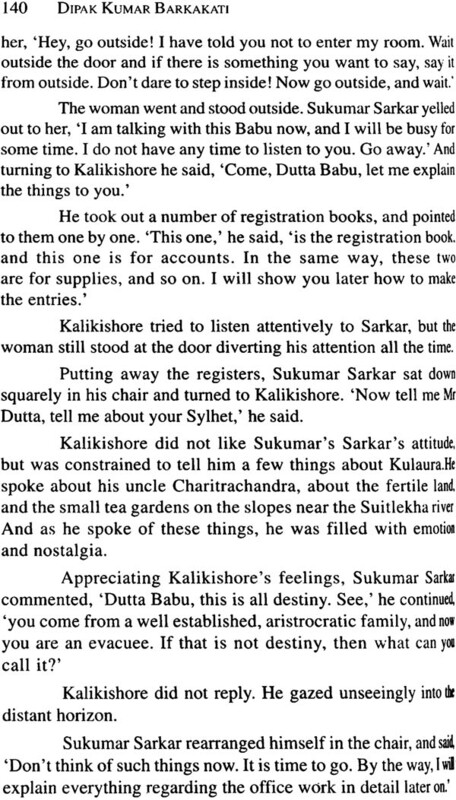 Dipak Kumar Barkakati is one of the most celebrated contemporary novelists of Assam. 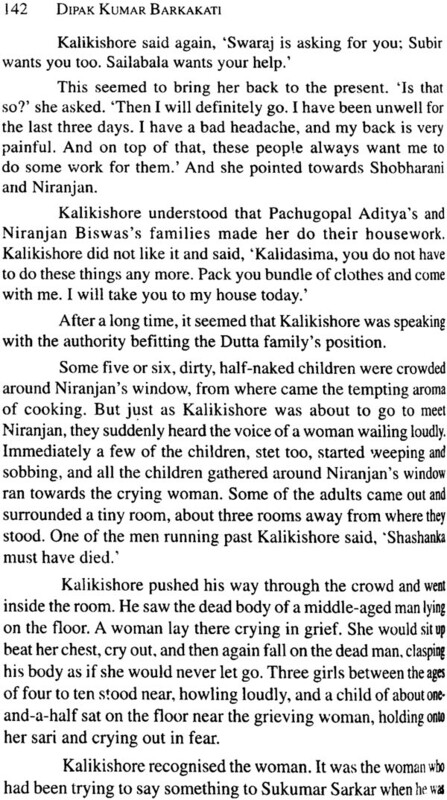 He is the author of five novels including Diktawn, a brilliant fictional account of the Mizo society in transition, Kolong Parar Itikatha, a novel about Assam at the time of the Quit India Movement, one short story collection and one children's book in English. 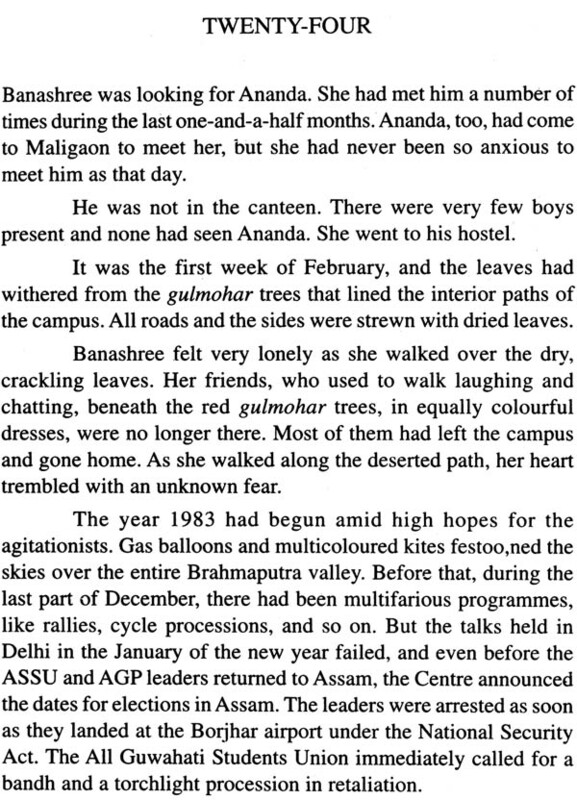 Gayatri Bhattacharyya has translated widely from Assamese to English including The Heart of the Brahmaputra and Other Stories, The Last Rites and Other Stories and a number of works of Indira Goswami. 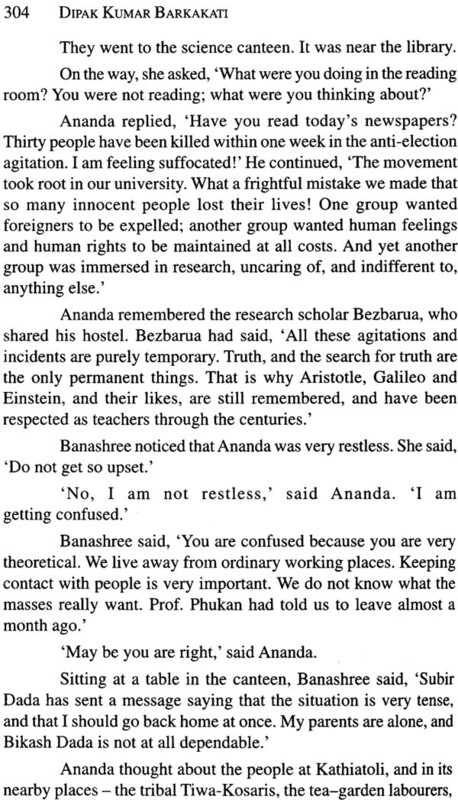 She retired from the University of Gauhati in 2001.